Dykema, a Detroit-based national law firm, has announced the addition of Kenneth J. Sachs to its employee benefits and executive compensation practice group in the firm’s Bloomfield Hills office. 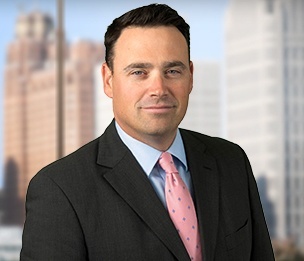 Sachs previously practiced at Miller, Canfield, Paddock and Stone PLC for more than a decade and has extensive experience advising clients regarding employee benefit plans, executive benefit programs, and business planning. Sachs has represented public and private entities concerning their corporate, fiduciary, and governance responsibilities. He has also assisted clients with audits and non-discrimination testing, and has counseled clients regardingincentive compensation programs, implications of mergers and acquisitions, contracts, and other matters.In addition, Sachs has routinely drafted and designed employee programs including retirement plans, welfare plans, medical plans, and fringe benefits. Sachs earned his bachelor’s degree in history from the University of Michigan, his juris doctorate from The George Washington University Law School, and his LLM in taxation from Wayne State University. Dykema serves business entities worldwide on a wide range of complex legal issues, with lawyers and other professionals in 13 U.S. offices.